John Smith, Operations Director in Canfield Ohio, fills in his Summary and Experience sections with descriptions of his jobs and expertise, sets his Profile URL to JohnSmithOperationsDirector (with the usual LinkedIn prefix, obviously), and makes his Profile public. A Google search on “John Smith Operations Director” will show his LinkedIn Profile URL (probably in the #1 spot), because that’s an exact match to his customized URL name, and because he made it public. However, when a recruiter searches INSIDE LinkedIn for an Operations Director in his zip code, John’s Profile comes up way down the list, perhaps on the 2nd to 3rd page of results. Why? Because he didn’t add “Operations Director” in more than 1 or 2 places in the Profile, especially the Headline (ranked #2 in LinkedIn’s SEO algorithm right after the Name field). If a recruiter searches inside of LinkedIn for “John Smith Operations Director,” he’ll come up first. But… this isn’t because of the public Profile URL. It’s because the Name is LinkedIn’s top indexed field, and he has “Operations Director” scattered 1 or 2 times in the Profile. Plus, the recruiter already knows he wants John Smith, Operations Director. And if a recruiter already wants you specifically, he or she will find you; your URL won’t help or hurt this effort. Mary Wilson, an Operations Director in San Diego, California, fills in her Headline as “Operations Director,” adds “Operations Director” several times in her Summary, and uses it in her Job Title fields in the LinkedIn Experience sections. She leaves her Profile URL set to the (gasp!) default, which is MaryWilson/7/492/a45, and also makes it public. A Google search on “Mary Wilson Operations Director” will also show her LinkedIn Profile URL, but she didn’t customize her Profile URL! So how does this happen? She added “Operations Director” in the Headline, and her LinkedIn page uses both her name and Headline as indexed fields. However, when a recruiter searches INSIDE LinkedIn for an Operations Director in her zip code, Mary’s Profile will be among the first (based on the keyword density of “Operations Director” in her content). That’s right – she gets MORE hits INSIDE LinkedIn on an employer search – but John, with his customized Profile URL, doesn’t, even though she has NO CUSTOMIZED LinkedIn URL. 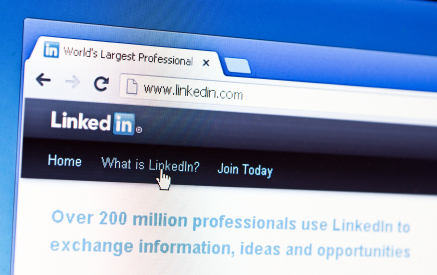 Bottom-line, if you want to be found for your skills and job title within the confines of LinkedIn searches, make keyword-optimized Profile content your priority (and realize your URL is only applicable outside the site).